Avoid running inconvenient cables throughout your home. Avoid additional cable and satellite box fees. 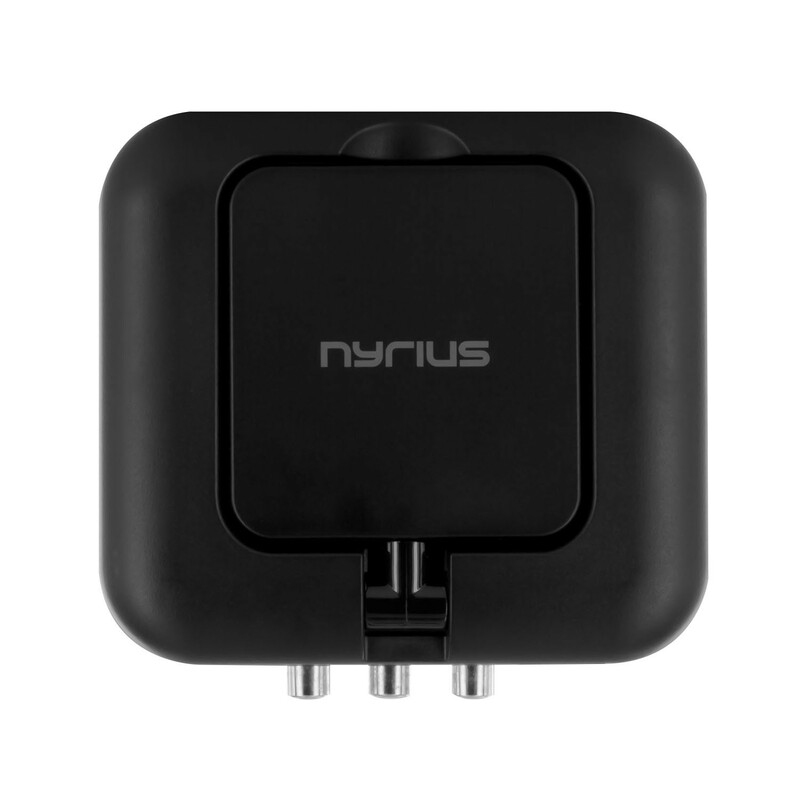 Easily watch your satellite or cable box signal in another room, garage, or man cave with the Nyrius NY-GS10 Wireless Transmitter & Receiver System. Seamlessly broadcast your satellite/cable box, DVD player, gaming console, or any other audio/video device with standard RCA composite connections to any TV or projector.. This wireless system broadcasts real time audio and video up to 225ft (maximum transmission is under clear line of sight). 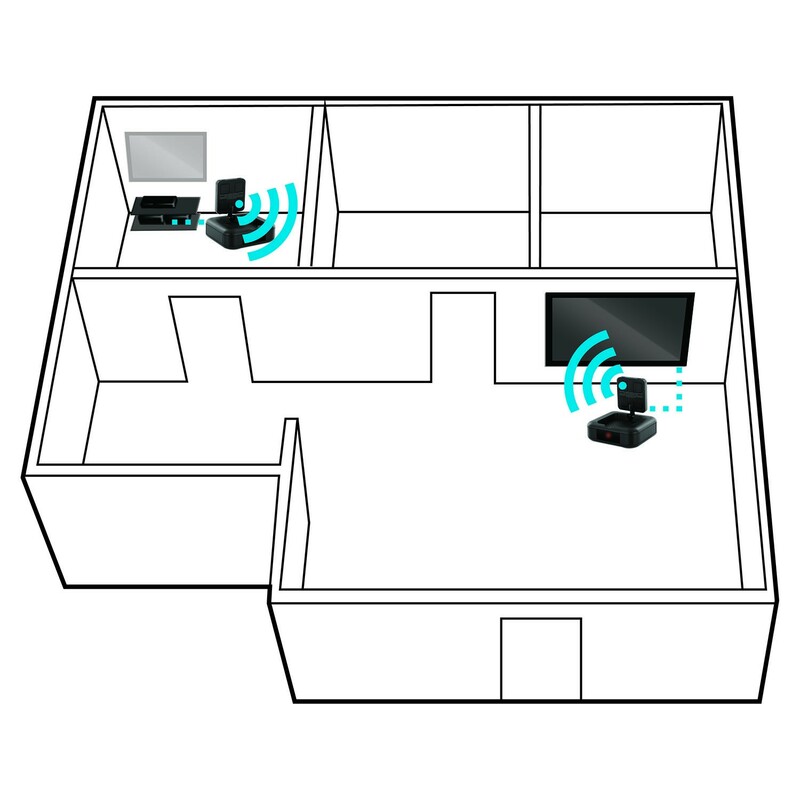 It also transmits through walls, ceilings, and floors (range/signal quality will decrease based on environment). 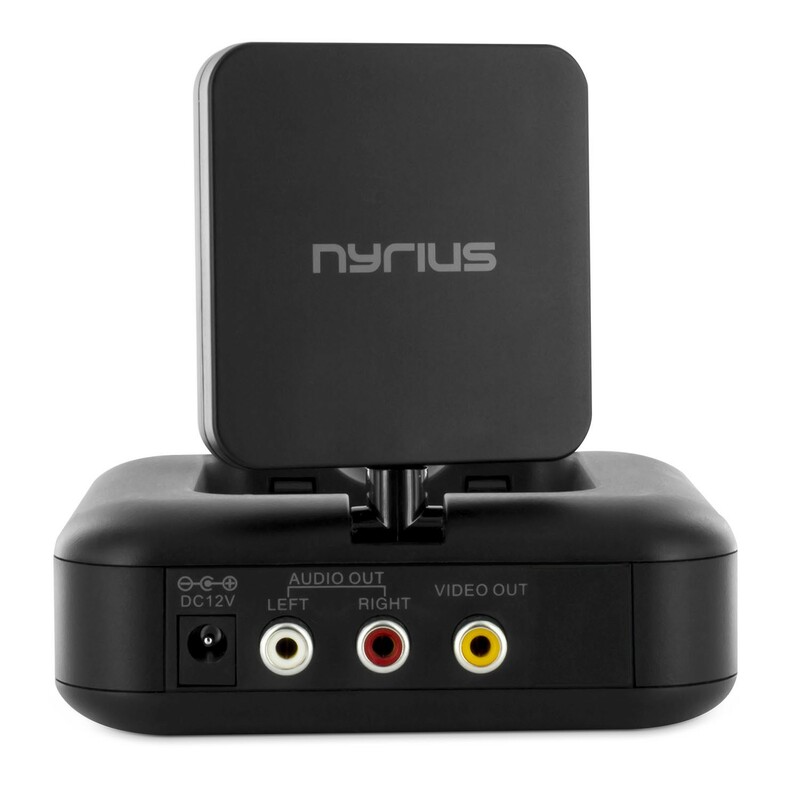 Watch TV in any room wirelessly with crystal clear sound and video. 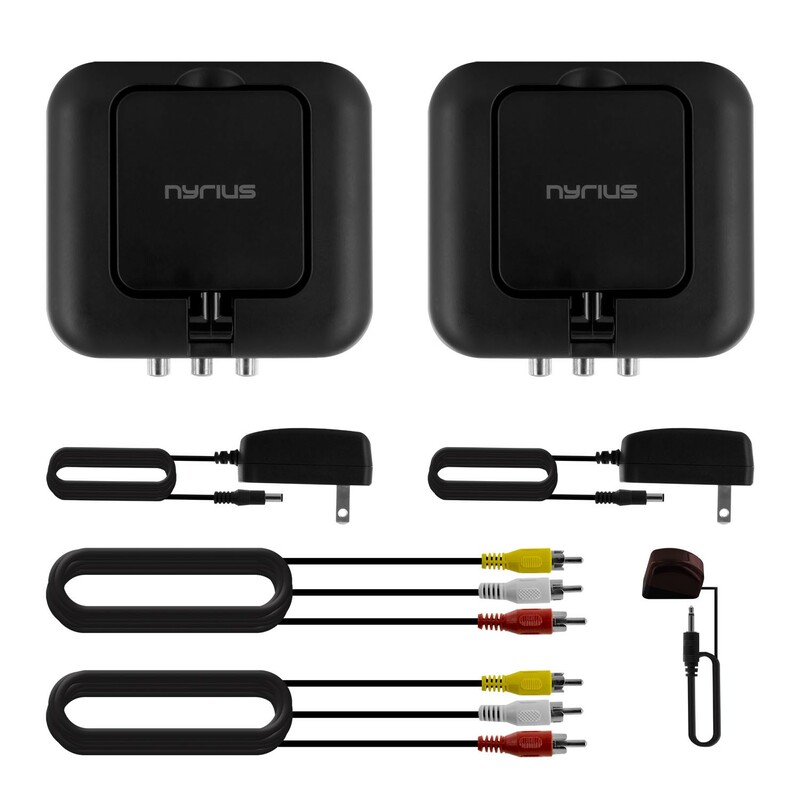 The directional antennas ensure an optimal radio frequency signal and minimize interference from other devices. There are 4 channel frequencies to choose from on this system. Matching the channel buttons on the transmitter and receiver will ensure both devices are on the same frequency. You can easily add additional receiver units to the NY-GS10 system depending on your needs. 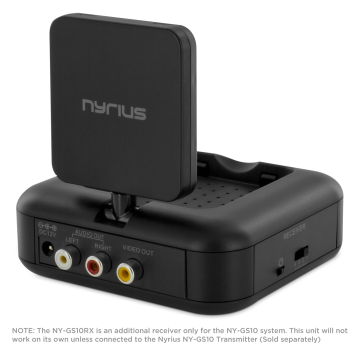 Purchase any number of additional receivers to broadcast audio and video to even more TVs. This wireless sender can be set-up in just minutes. Neatly organize all your audio/video components by keeping them out of sight without installing inconvenient cables throughout your home. 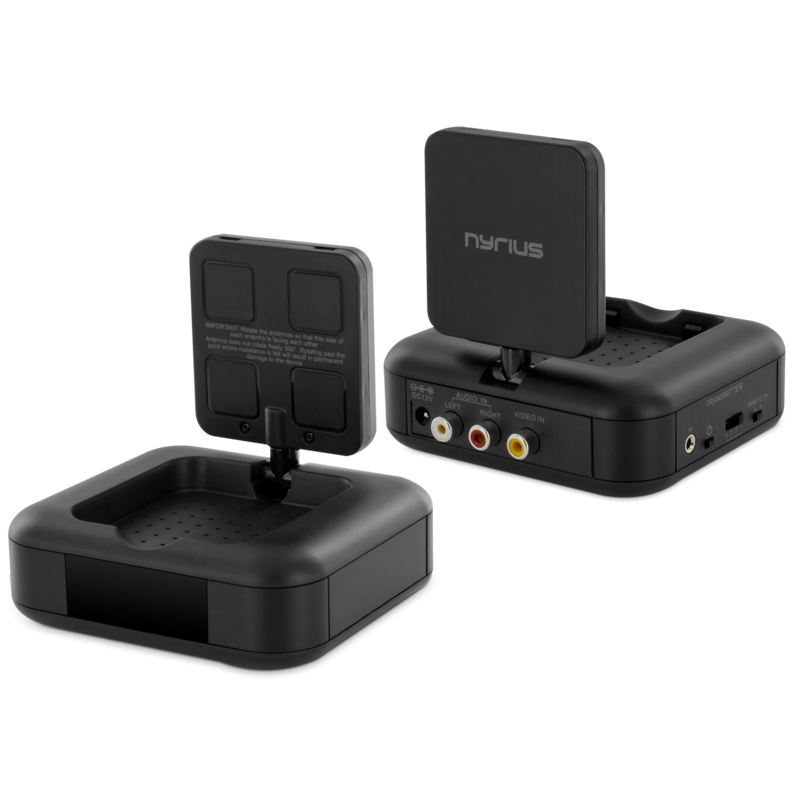 No software required – simply plug in the included RCA cables to your TV and audio/video device. Not only can you watch your video source remotely, you can also control it. The IR (infrared) remote extender will send your device's remote control signals to the NY-GS10 receiver. Change channels, pause your movie – any function available on your remote will work using the remote extender. Overlooked good reviews and decided to buy this product. Came on an open package. Had lil hard tome to get this units to work even though i am good with any type of electronics. Receiver part seems to have some troubles gets powered on its own may not power up once in a while at all. Channel switch appears to have only 3 positions on the receiver part despite should have 4 positions same as on the transmitter (just a faulty switch). I have surround speakers that are not powered so when i had everything to work the sound wasn't even close to what i have when they hooked up by wire to the audio amp. Now i am not sure if it is the product itself or just a defective receiver unit. And the last but not least important and for most of us probably the most important thing IT IS JAMMING 5Ghz home WI-FI which is just disappears from the wi-fi list and stops working. Wonder if on the prolong use it may damage your router. Transmits a weak signal with hiss and distortion fo me.